The outer ear is the part of your ear that extends from the ear drum through the outer ear canal. An outer ear infection is also known as otitis, otitis externa, swimmer’s ear, or glue ear. An outer ear infection is categorized as mild, moderate or advanced. Outer ear infection symptoms for a mild case include some redness inside the ear, itching, discomfort when you pull on the outer ear, and a bit of draining of odorless, clear fluid. Clogged Eustachian Tube – How To Unclog It? The tubes connecting the middle ears to the rear of the throat are known as the Eustachian tubes. The purpose of these tubes is to prevent middle ear fluid from causing Eustachian tube blockage. Glue ear is a condition resulting from a sticky and thick liquid settles in back of the eardrum. 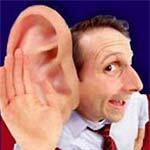 Hearing becomes weakened because of the mid area of the ear being blocked by fluid. This is a condition more common in children because of the underdevelopment of the tubes or how the clogged Eustachian tube is positioned in a child. The fluid settled behind the eardrum ranges from a sticky white consistency, resembling glue, and a yellowish thick liquid.